From game-winning overtime goals to solid overall performances, the weekend in sports had it all for fans in the state. The Wolverines (7-1) and Spartans (4-3) met at high noon for the Paul Bunyan Trophy, and it was the Wolverines still standing when the smoke cleared. 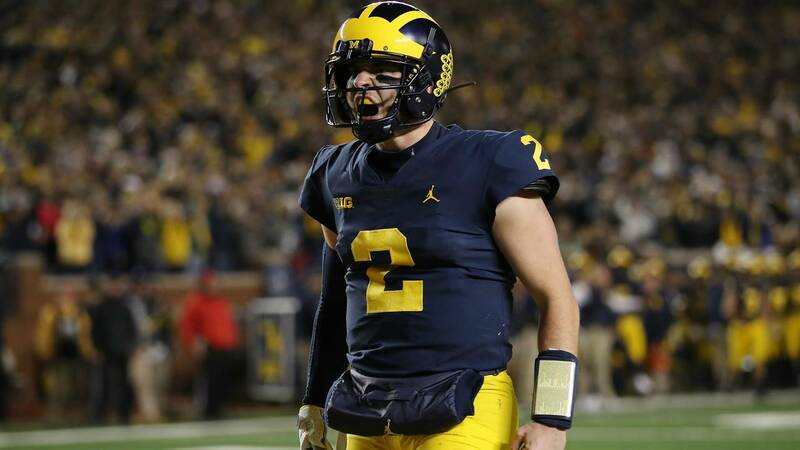 Michigan junior quarterback Shea Patterson completed 14-of-25 passes for 212 yards and two touchdowns, including this 79-yard touchdown to sophomore Donovan Peoples-Jones that ended up being the game-winner. Senior running back Karan Higdon also slashed MSU's vaunted run defense for 144 yards. Patterson added 24 yards on the ground, including a critical first down pick up on fourth and one in a drive that led to Michigan's final touchdown. The Spartans offense, meanwhile, was dominated by U-M's No. 1 ranked defense. The Spartans mustered 94 total yards (79 passing, 15 rushing), with MSU quarterback Brian Lewerke completing just 5-of-25 passes for 66 yards. It was a rough afternoon for Mark Dantonio's squad, but the Jim Harbaugh and his Wolverines are halfway through their "revenge tour," as deemed by Michigan senior defensive end Chase Winovich after the win against Wisconsin. Next up for Michigan is Penn State in two weeks after this week's bye. MSU takes on Purdue at home this Saturday, a team coming off a huge upset win over Ohio State. Much like the Wolverines, the Lions had a strong ground game this weekend. Rookie running back Kerryon Johnson carried the ball 19 times for 158 yards, with 71 yards coming from this play alone. With the run game producing big plays, Detroit quarterback Matthew Stafford had an efficient day -- 18-of-22 for 217 yards and two touchdowns, both going to tight end Michael Roberts. The Dolphins valiantly attempted a come back, but that was officially put to rest after a missed field goal with nearly no time remaining and no time outs left. 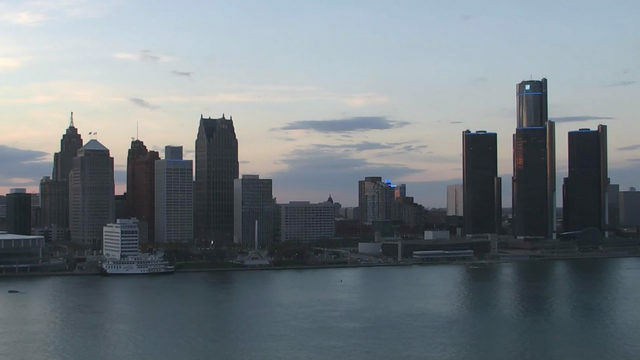 The Lions (3-3) return to Ford Field Sunday to take on the Seattle Seahawks. The Red Wings (1-5-2) finally picked up their first win of the season Saturday in a 4-3 victory over the Florida Panthers in overtime. Gustav Nyquist nailed the game-winner, but the play began on a takeaway from Dylan Larkin, who passed it to a wide open Nyquist, who buried it to the right side of the net. Steal the puck and the game in @EASPORTSNHL OT. The win was a long time coming for Detroit, who began its season with seven straight losses, including two in overtime. 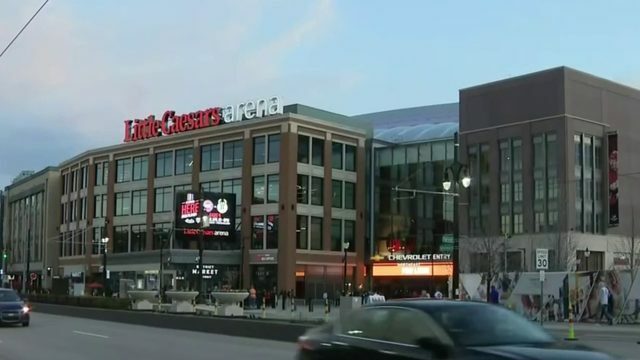 The Wings return to Little Caesars Arena Monday night to take on the Carolina Hurricanes. The Pistons (2-0) won their second consecutive game to start the season, defeating Chicago on the road Saturday. Backup point guard Ish Smith provided the game-winning layup with 5.4 seconds remaining. He finished the game with 15 points off the bench. Blake Griffin brought his A-game, putting up 33 points, 12 rebounds, five assists and one block. Andre Drummond also pitched in 10 points and 13 rebounds. The Pistons welcome in the Philadelphia 76ers Tuesday night.